NOW — Just one standard for the U.S. and Canada! The Woodwork Institute and Architectural Woodwork Manufacturers Association of Canada have collaborated to bring you ONE progressive woodwork standard for North America – available in both ENGLISH and FRENCH. The North American Architectural Woodwork Standards (NAAWS) 3.1 has been adopted and published jointly, effective July 1, 2017. NAAWS is a living document that is updated with errata periodically. The lastest errata, effective January 1, 2019, have been released and are available for download in English and French. As a reminder, for jobs bid on or after July 1, 2017, with specifications calling for NAAWS latest edition, NAAWS 3.1 will apply. Projects bid prior to this date but on or after July 1, 2016, should use NAAWS 3.0. A new version of NAAWS 3.1 2018 Errata Edition in English is available for PDF download for the U.S. and Canada. NAAWS also provides improved, easier-to-use formatting, colorized visual aids and many interactive features. 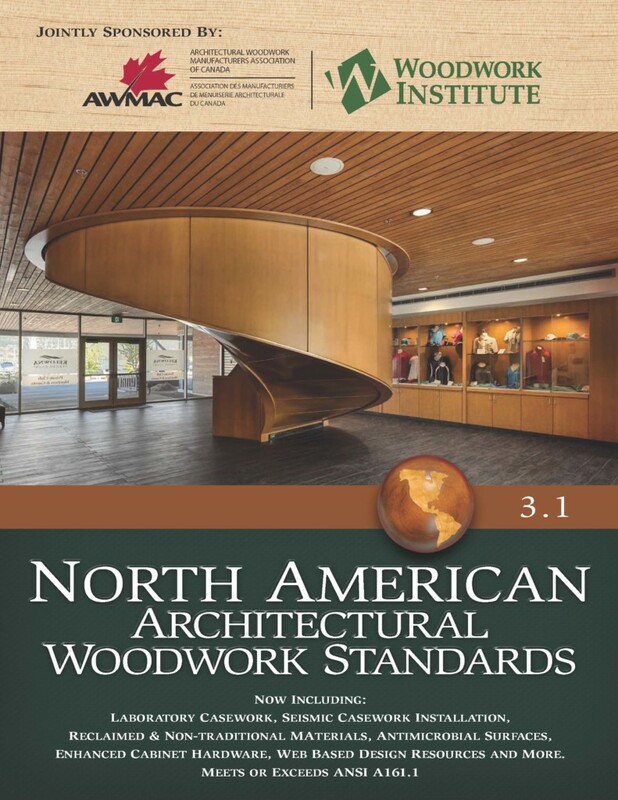 NAAWS includes a number of additions and improvements to the Architectural Woodwork Standards, Edition 2. Click here to download a change document. Best of all, NAAWS is free for limited use by design professionals, building owners, contractors, fabricators, installers and the educational community. 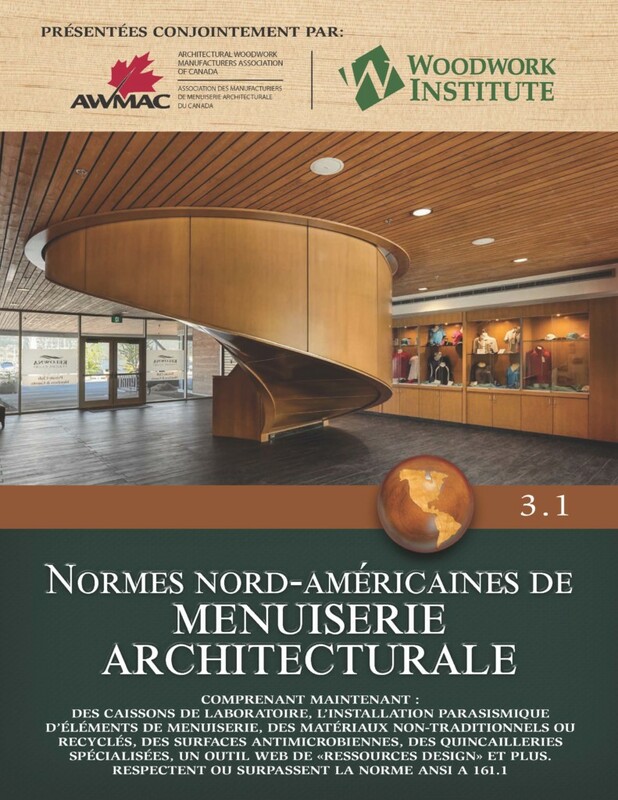 NAAWS 3.1 is adopted and published jointly by WI and AWMAC – in English and French editions – effective July 1, 2017.